Ah. Patti LuPone. We love (or hate!) her for her voice, her acting, and her trademark candor. 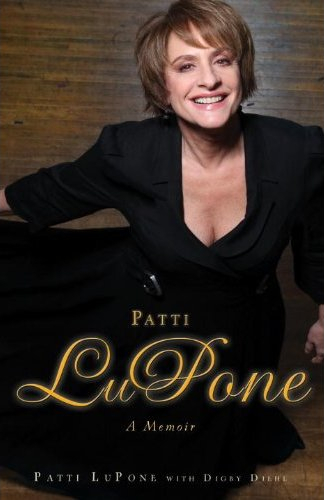 And now: LuPone leaves no stone unturned in her tell-all memoir, set to hit shelves September 14, 2010. You can get a taste of what the book will contain in a half-hour interview at BookExpo America 2010. She’s as vibrant and funny as ever, hinting that she may be back on Broadway soon (but can’t talk about it as it’s still in negotiation stages, I’m assuming). She gripes about the dependence on microphones in the theatre to carry a performance. She challenges the interviewer when he attempts to make a point about how some great actors seem unable to carry his or her performance past the footlights. “Why do you call them great actors?,” she responds. The crowd applauds, and I did, at my desk, too. And then a woman asks LuPone to expand on her famously painful experience with Sunset Boulevard, a musical for which composer Andrew Lloyd Webber broke her contract stating she was to open the role on Broadway (after having premiered the role in London for a year) in favor of the more commercially safe Glenn Close. Wow. I hope she has good lawyers. So much crazy! Positively peeing myself in anticipation.